Although the solar greenhouse is a widely discussed topic in the field of sustainable architecture, it is hard to find relevant and in depth studies. The system complexity needs structured studies concerning different aspects of the issue, involving both the architectural than the energy aspect, in a wide design concept. Analysis of contemporary examples of solar greenhouses can be used to state a critical evaluation about the change of the concept itself. The solar greenhouse is not just a passive system but an architectural space able to realize a relationship between social, built environment and nature, without overriding its energy value. 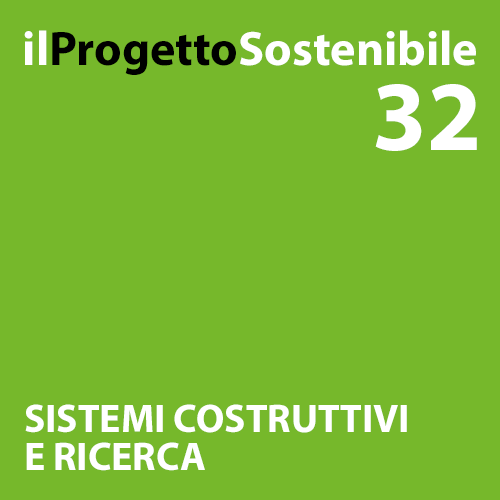 The paper presents the calculation method to assess the thermal balance of the greenhouse upgrading the spreadsheet “SERRA 832” C. Zappone [La serra solare, Napoli, 2009] with the UNI EN ISO 13790. Moreover, greenhouse behavior in summer introducing natural ventilation assessment to remove heat was added. Sebbene la serra solare sia un tema ricorrente nell’ambito della cosiddetta architettura sostenibile, viene difficilmente affrontato in modo approfondito. La complessità di questo sistema, infatti, è tale da rendere articolato il percorso di reale conoscenza dell’argomento, che non riguarda il solo aspetto architettonico, ma un’ampia sfera progettuale. Lo studio di esempi contemporanei consente di effettuare un’analisi critica su come ne sia cambiata la percezione.